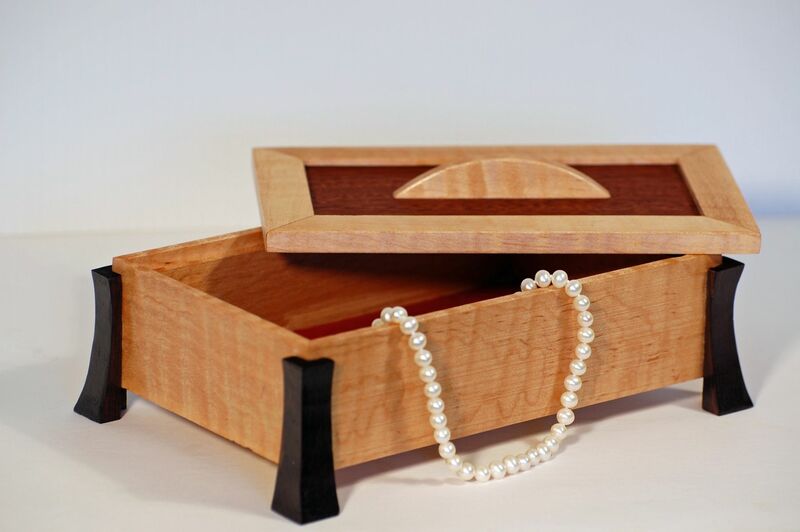 Curly Maple jewelry box with ebony legs and a top of mahogany trimmed in the curly maple makes this a keepsake any one would love to have. The delicate lines and distinctive looks make this a showcase piece for you jewelry. Dimensions: This box measures 8" wide, 5 ½' deep and 3" high.